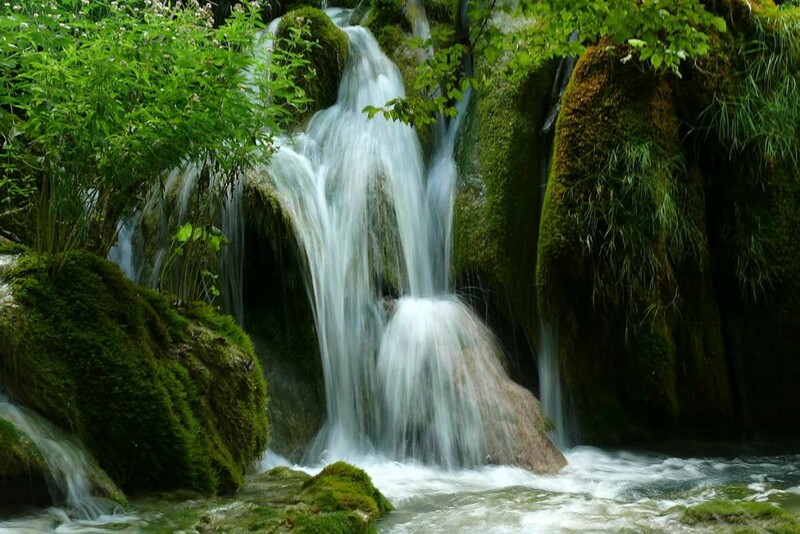 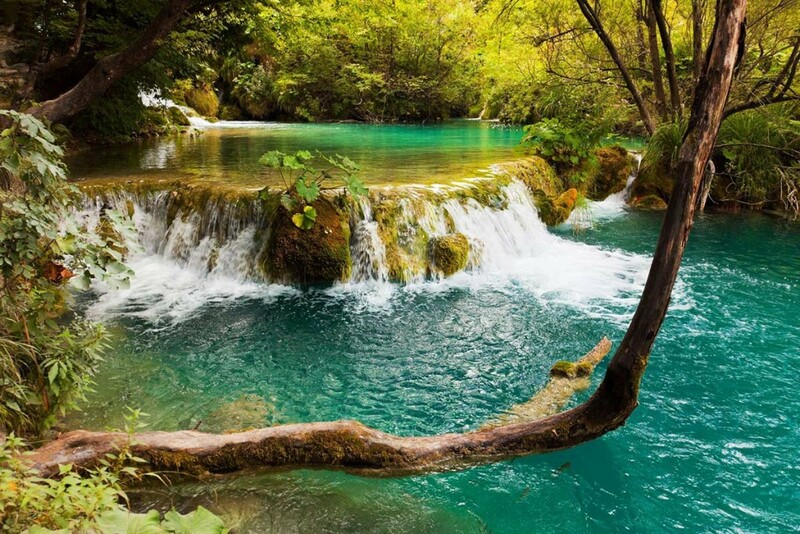 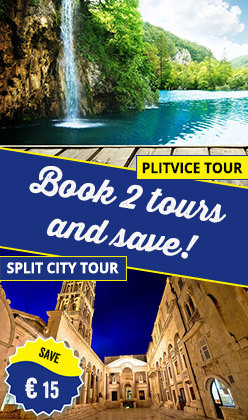 On our Plitvice Lakes tour from Split you will witness why Plitvice National Park is not only Croatia’s National Wonder but why it has been enlisted on UNESCO World Heritage site’s list. 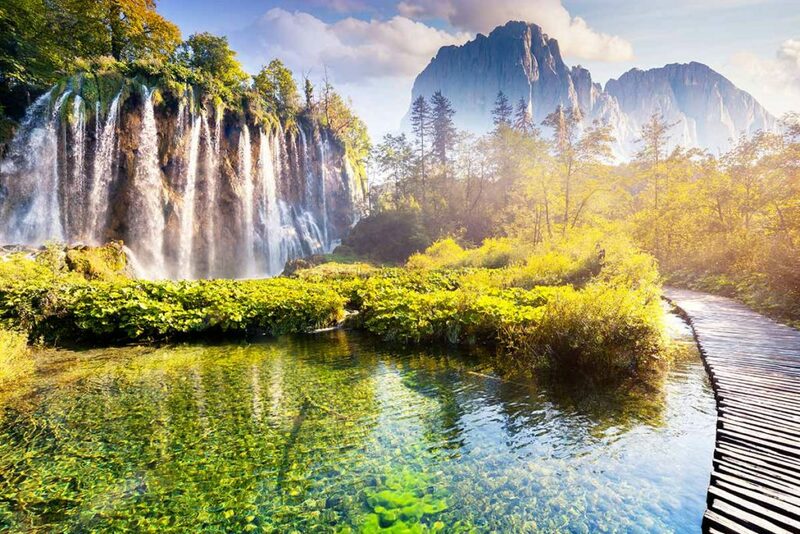 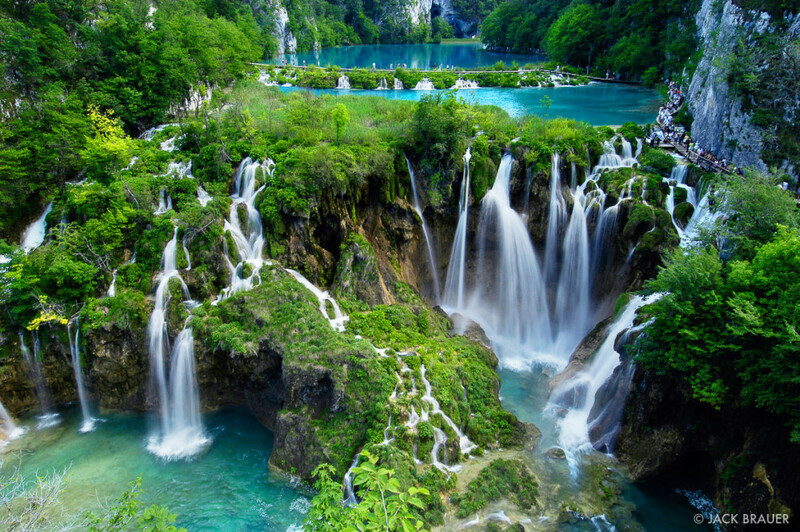 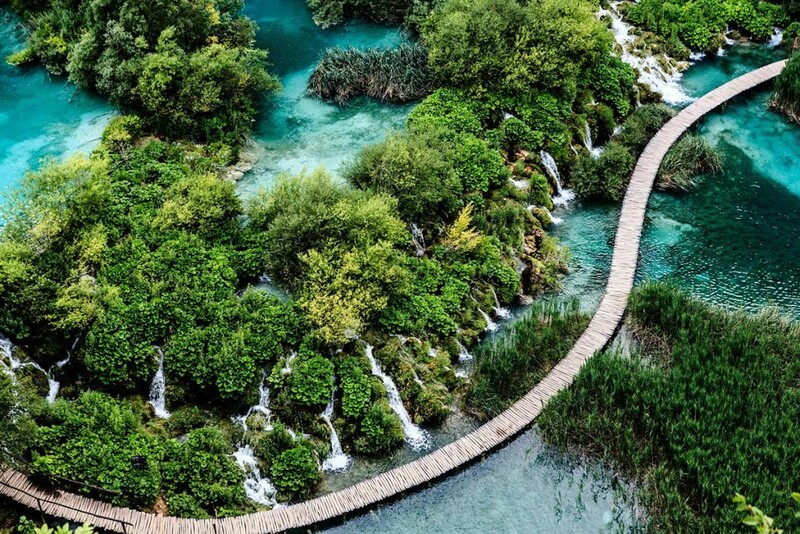 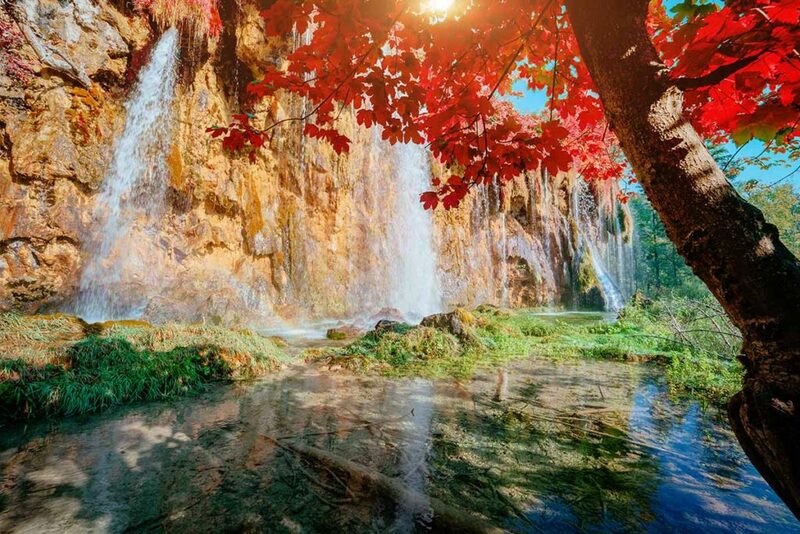 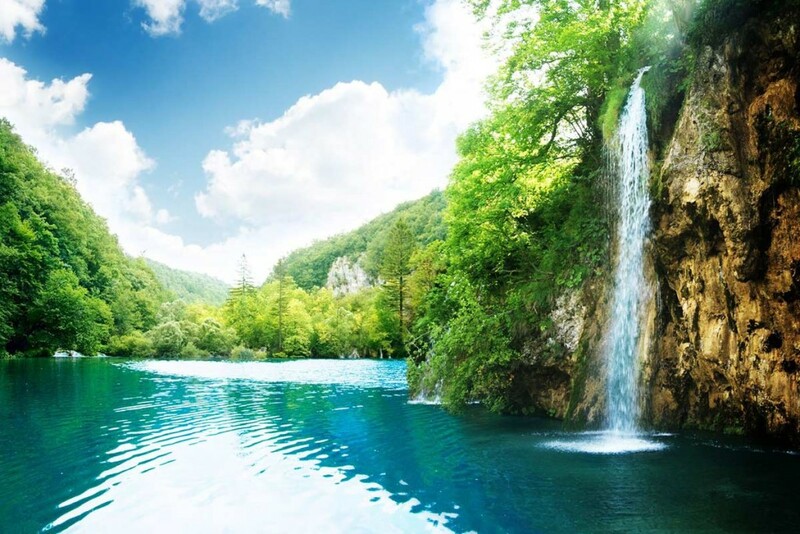 With its 16 lakes, travertine barriers, largest Croatian waterfall and breathtaking canyons Plitvice lakes will surely drain out the batteries of your camera and leave you with ever lasting memories. 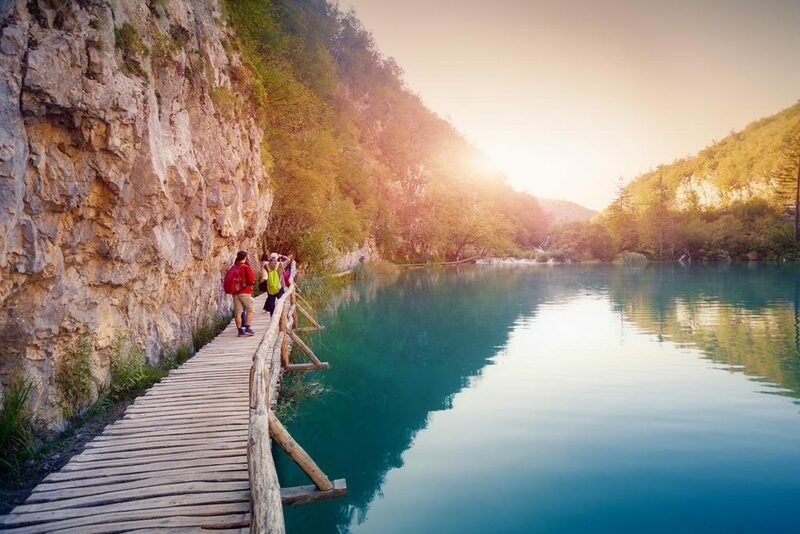 No matter which time of the year you decide to visit Plitvice National Park it always has a special treat ready for the unsuspecting visitor. 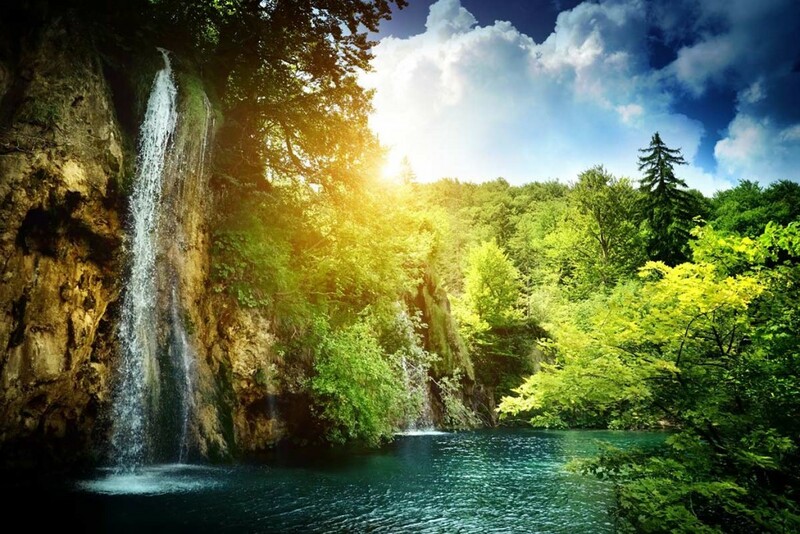 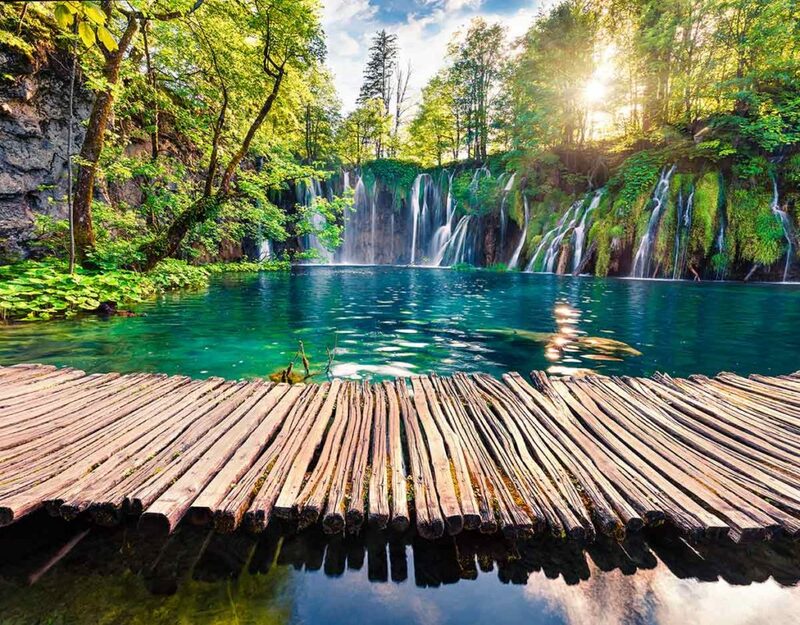 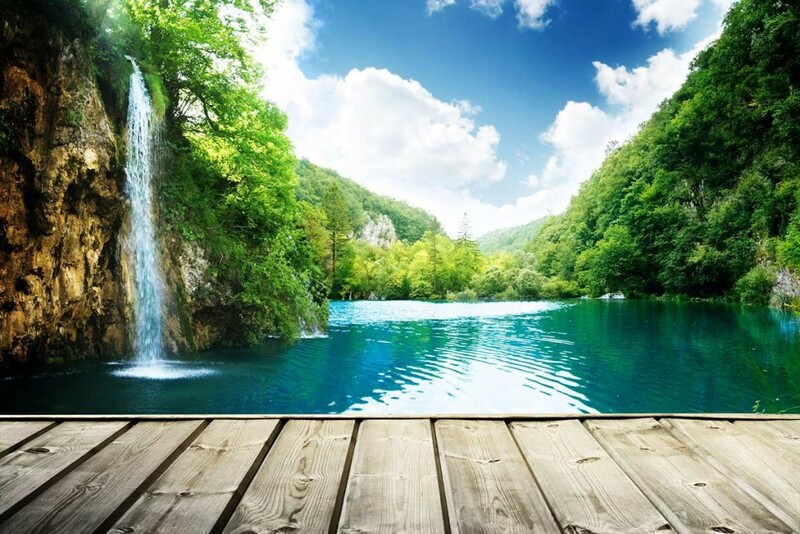 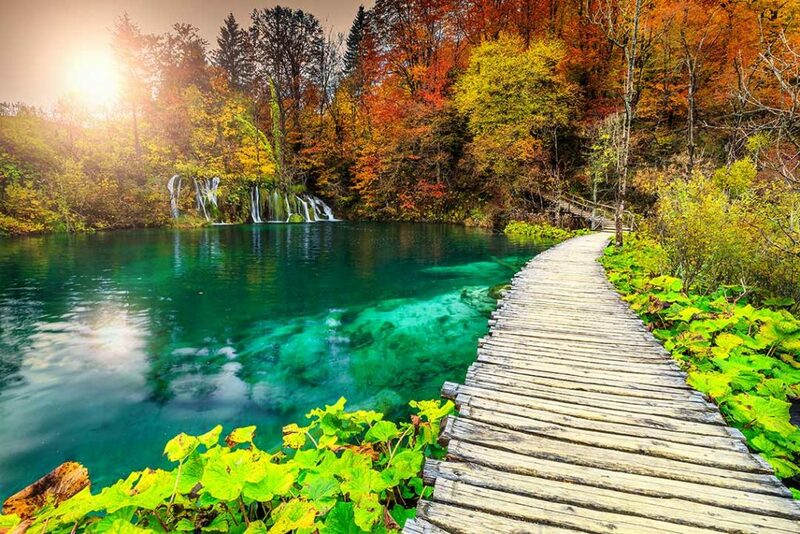 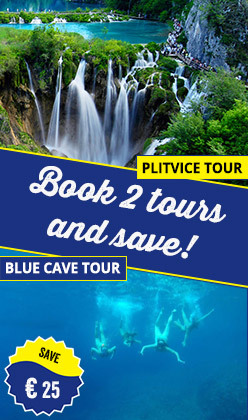 Since majority of the tourists visit Plitvice National Park during the summer they can expect a symphony of sights, sounds and color mashed together into one unique natural experience. 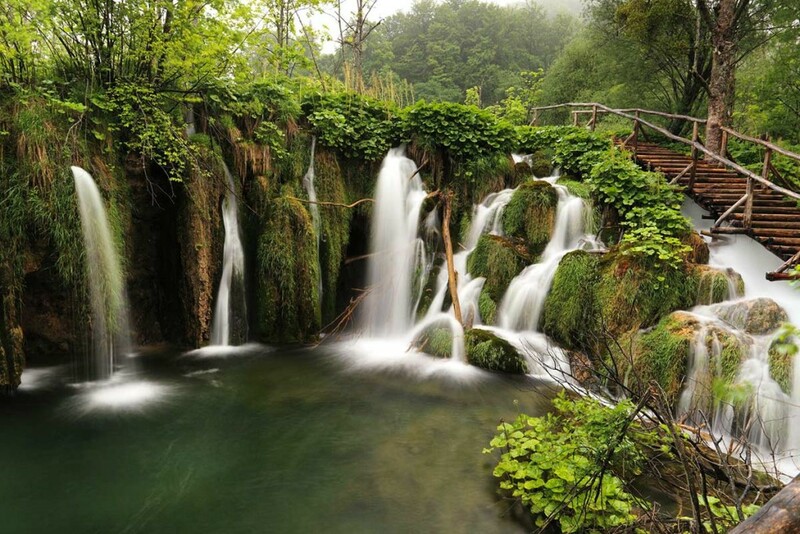 Leave concrete and cars behind you and enter with us a nature’s wonderland! 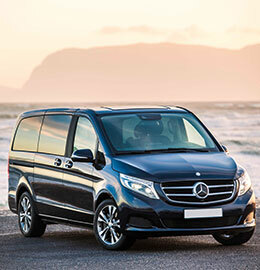 After we pick you up at one of our predefined locations with our luxury air conditioned mini bus, we will start our drive towards Plitvice Lakes National Park. 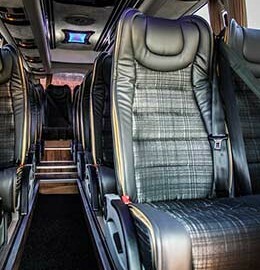 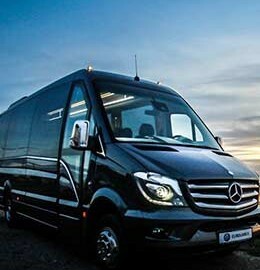 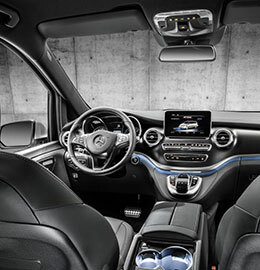 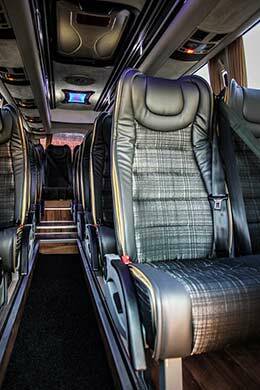 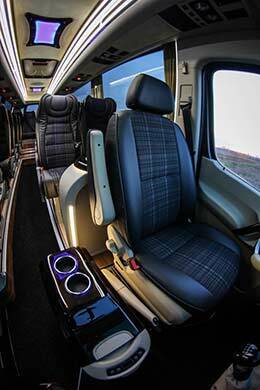 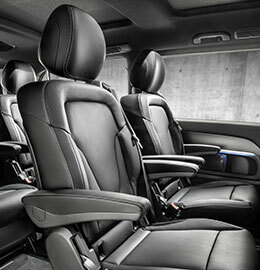 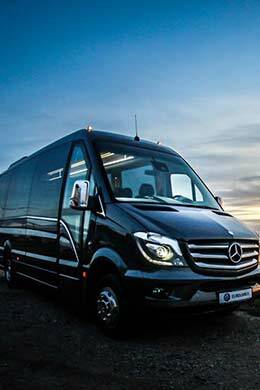 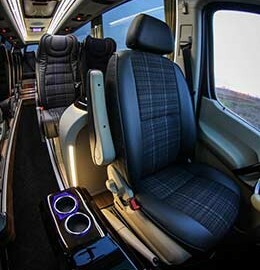 During the entire time of the ride you will have free Wi-Fi access to your electronic devices. 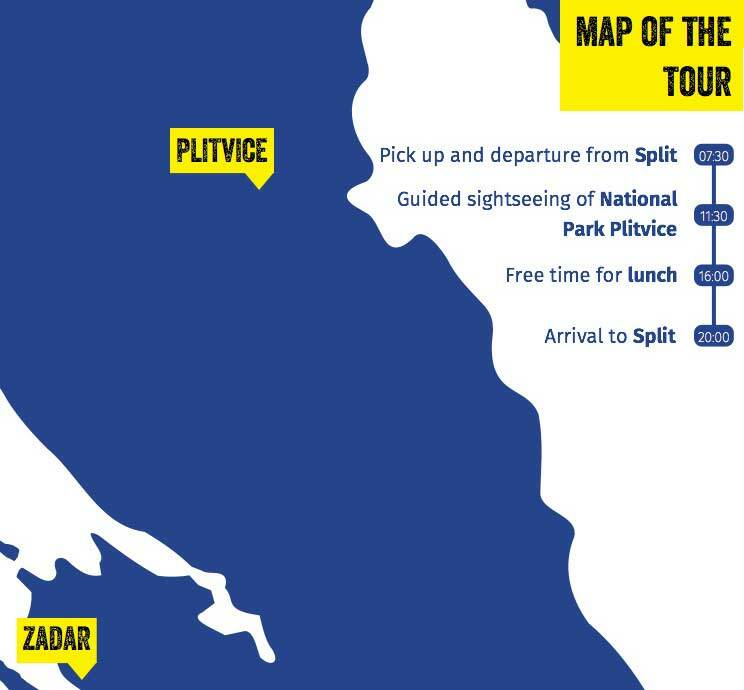 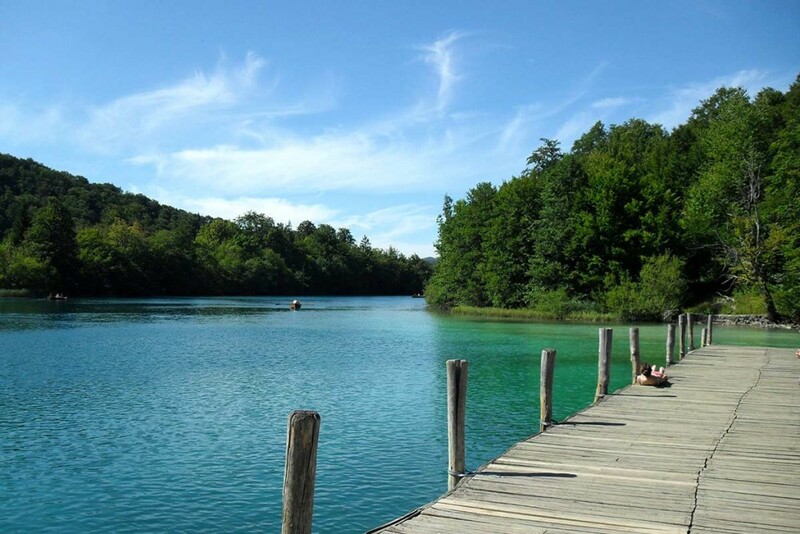 Around 11:30 AM we will arrive to Plitvice Lakes, a beautiful valley of 16 terraced lakes laced together by waterfalls and miles of pleasant walk paths. 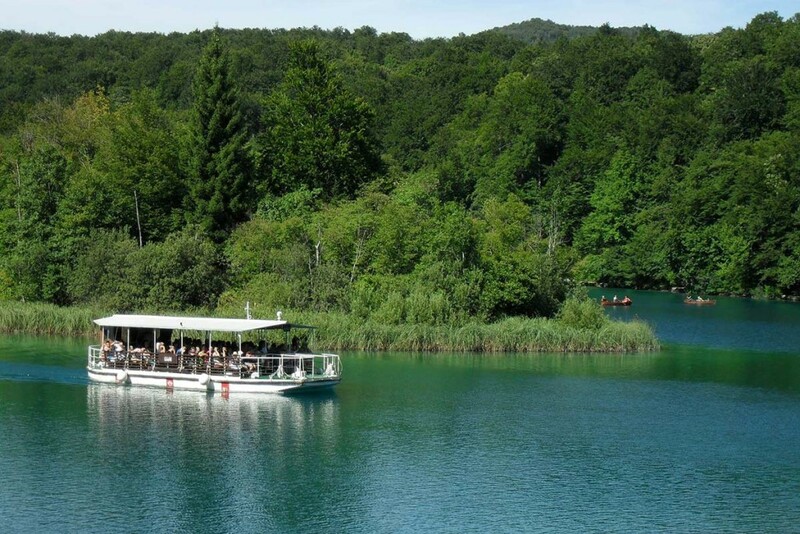 The start of the tour takes us across series of twelve interconnecting lakes called The Upper Lakes (Gornja Jezera). 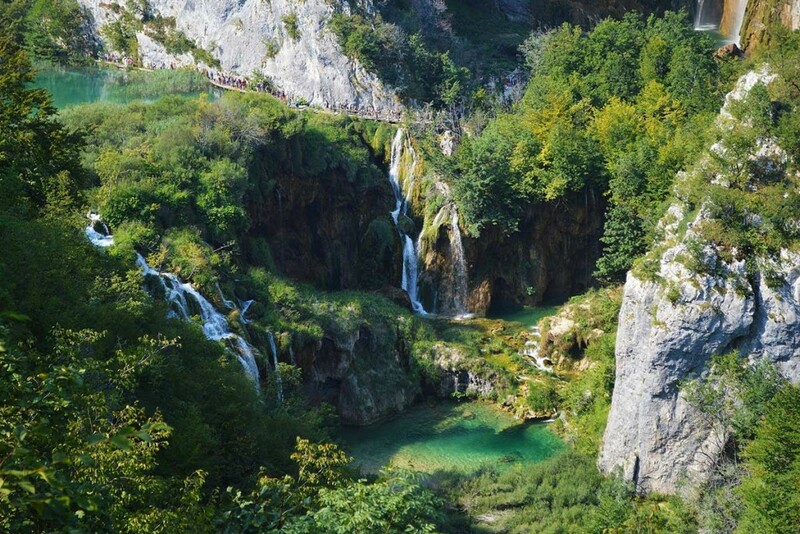 The lakes are connected with series of breathtaking waterfalls and deposited travertine barriers that constantly change their shape by the power of the water. 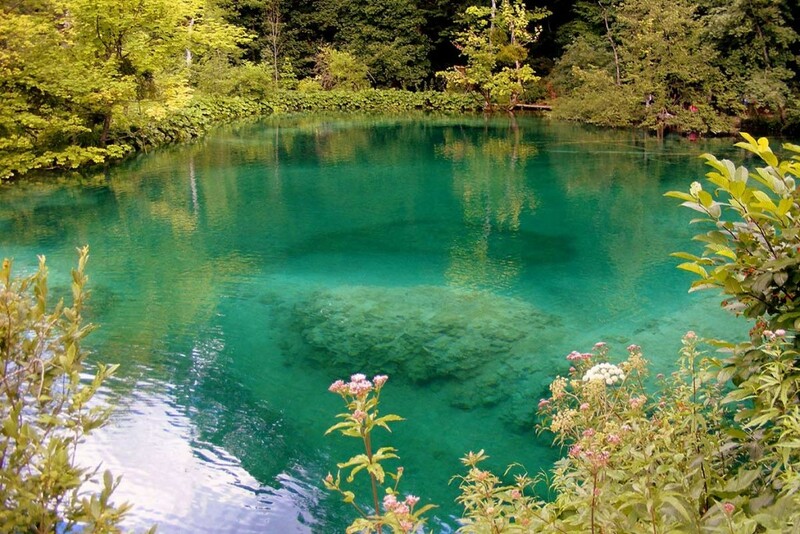 The lakes are also constantly changing their color depending on the mineral composition of the water and the microorganisms living in them as well as on the angle at which the sun hits their surface. 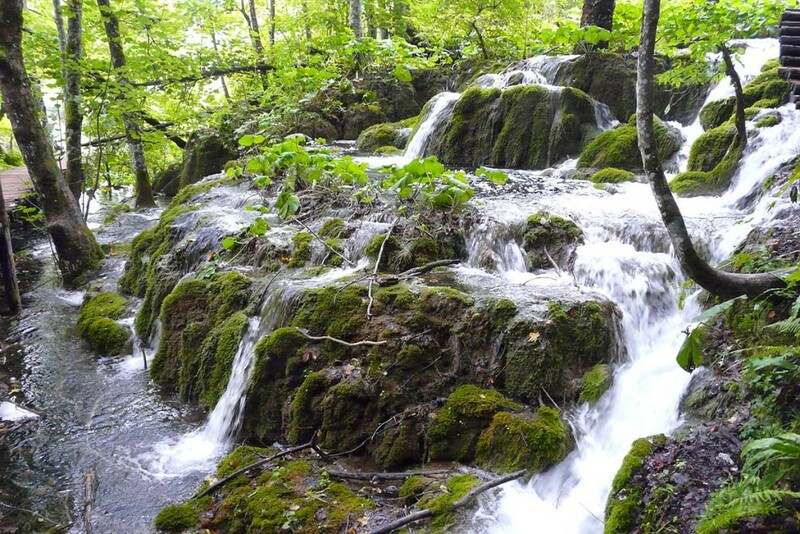 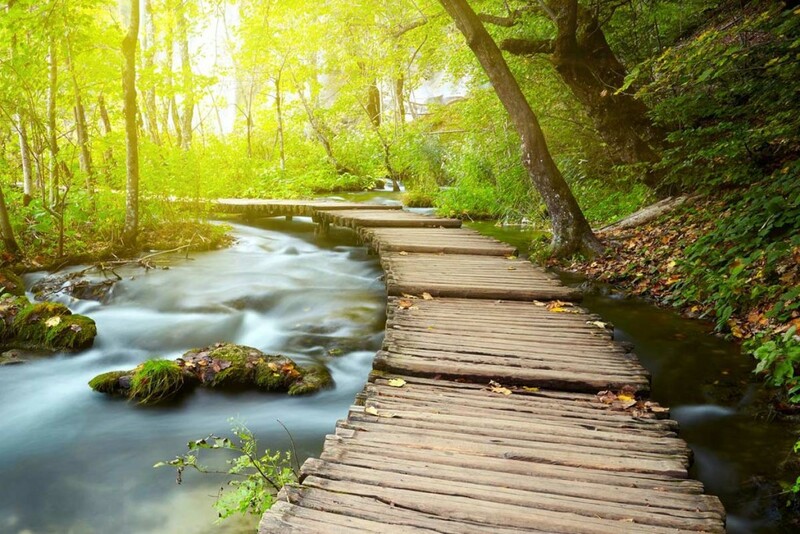 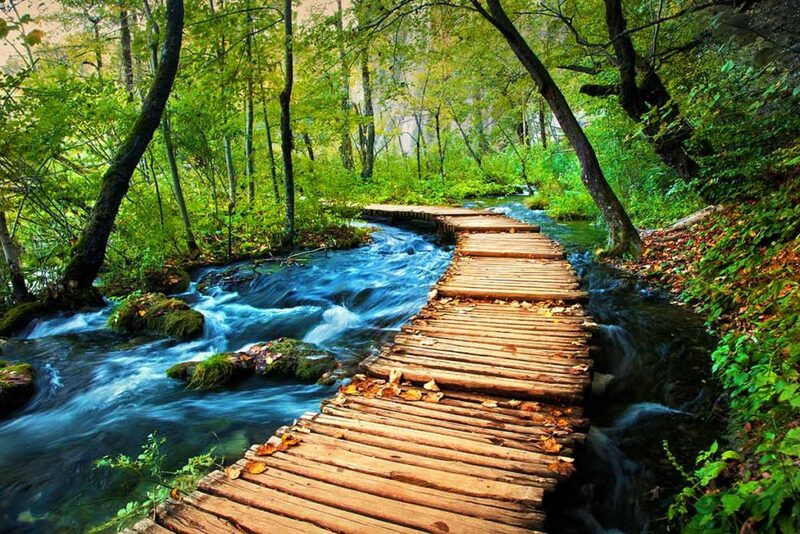 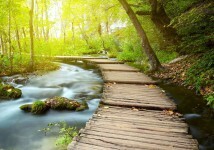 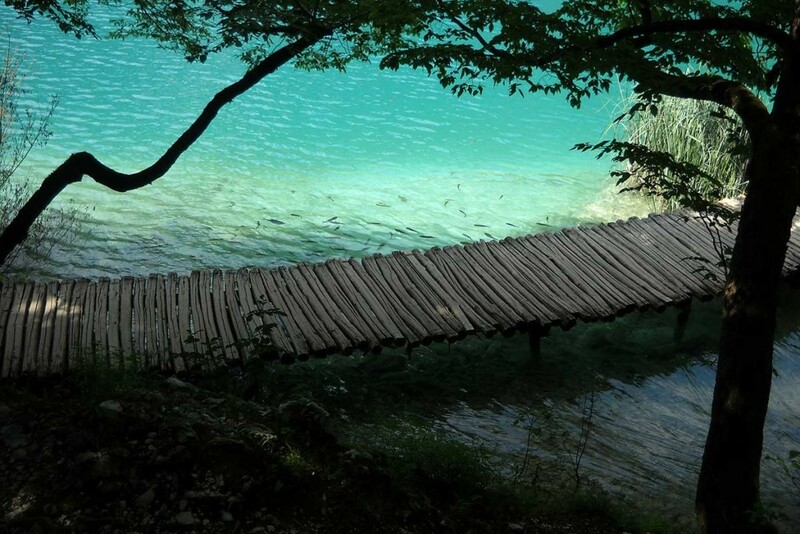 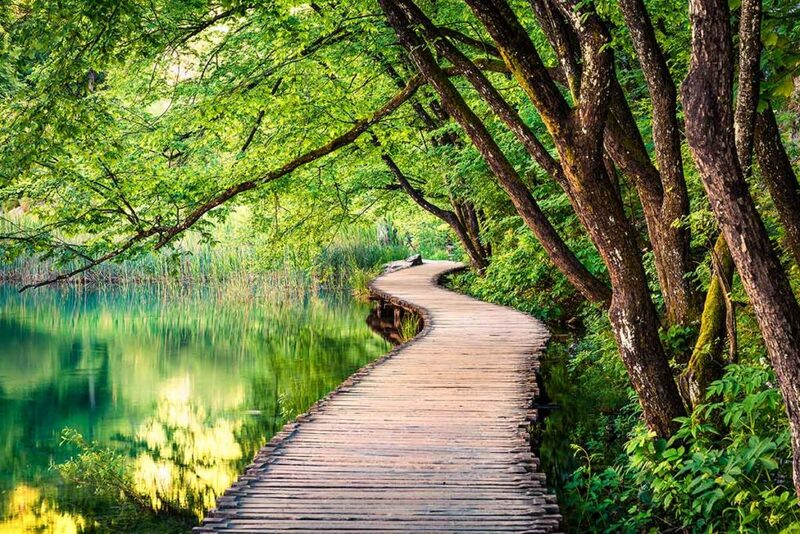 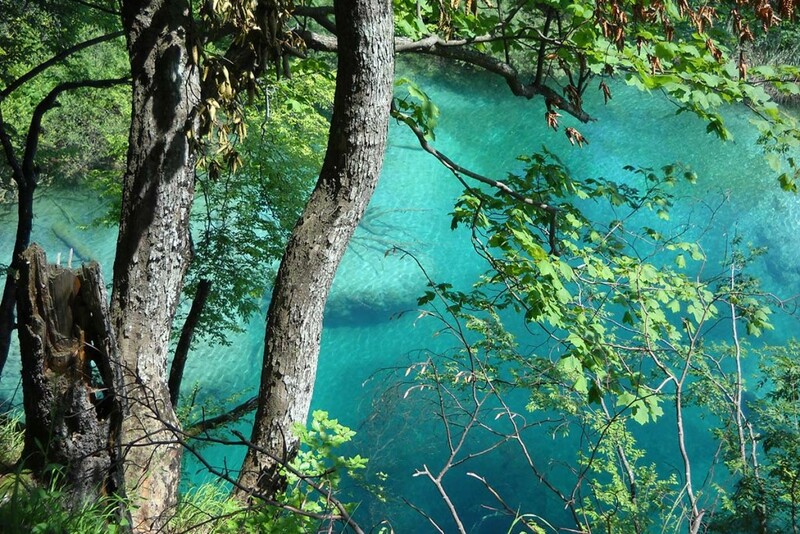 This everlasting process ensures that the Plitvice lakes never looks the same. 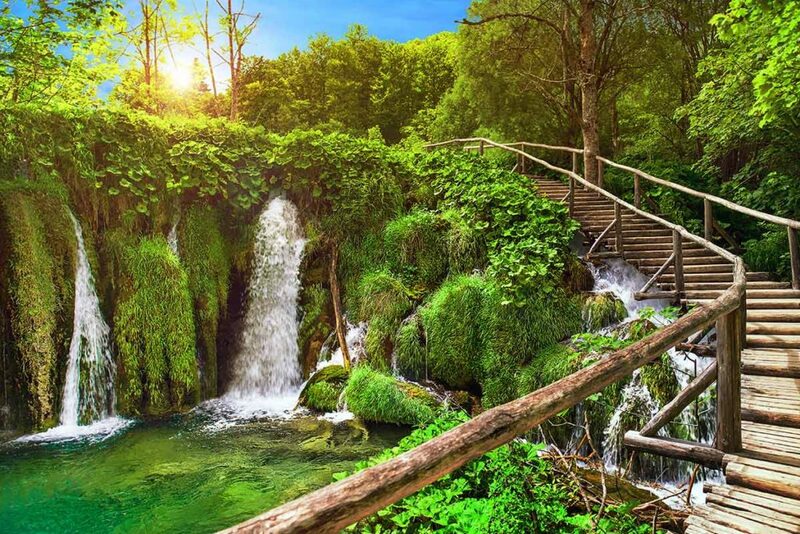 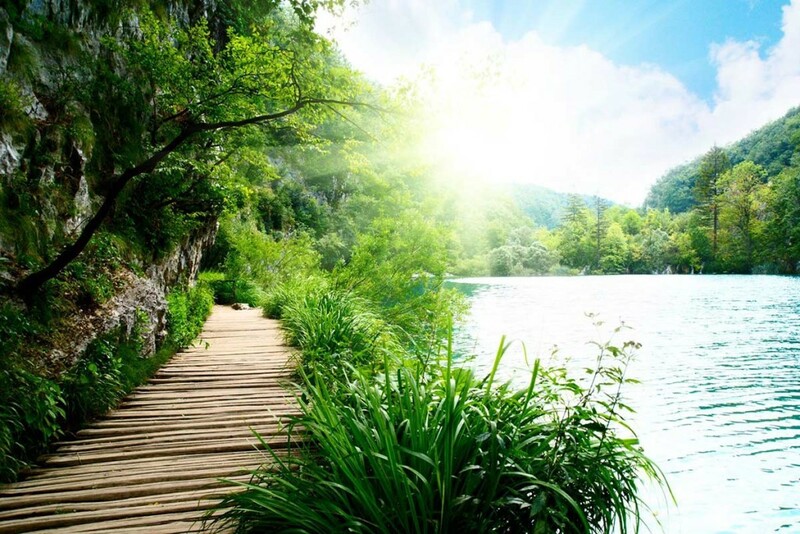 While walking the wooden footbridges and pathways that dance across the rumbling water, the cascades and the waterfalls that surround them leave you with a unique experience of connecting with nature. 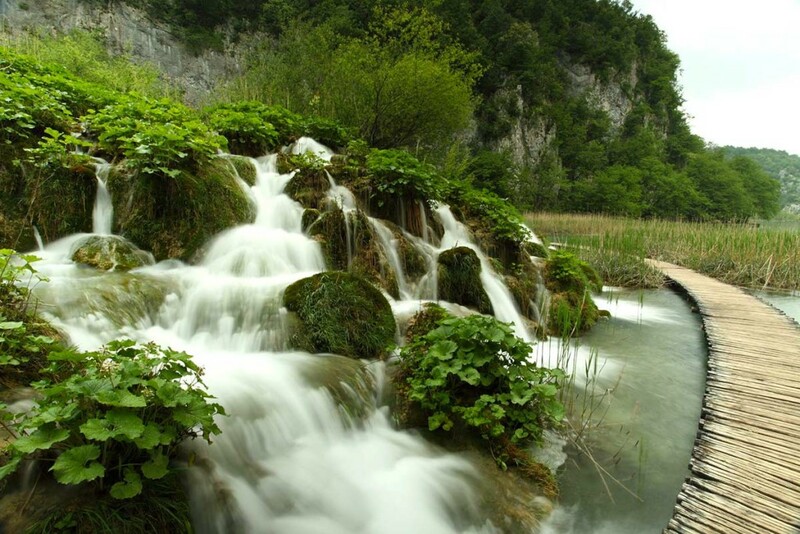 As we continue along the path, gazing on the picturesque cascades, the walk brings us to the boat that shuttles us towards the Lower Lakes (Donja Jezera). 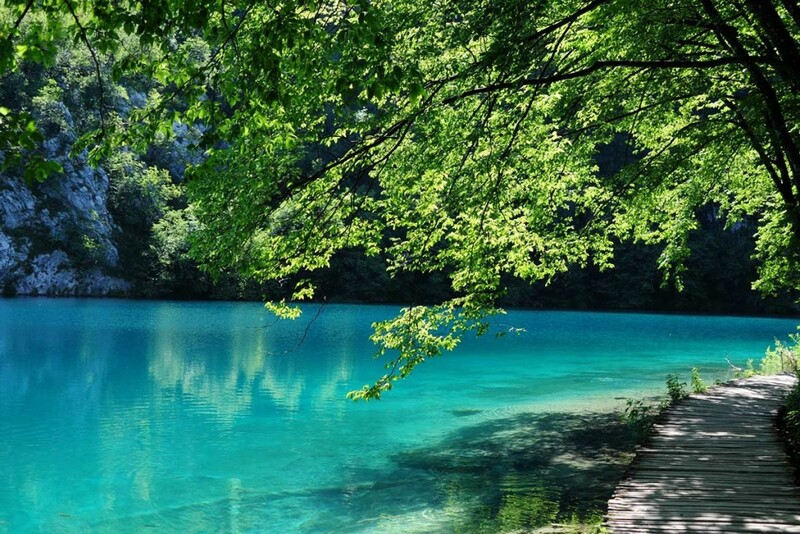 Lower lakes is an area consisting of four lakes located in the limestone canyon. 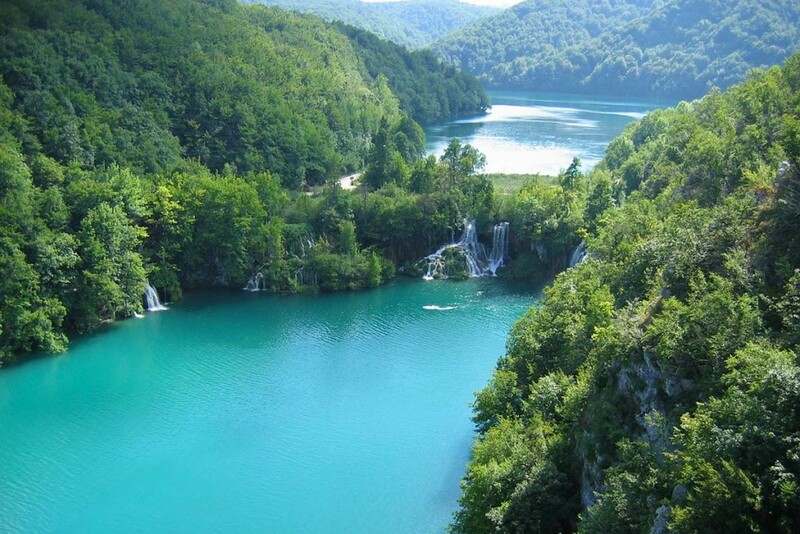 This fantasy world of natural limestone dams — constantly built up by deposits of calcium carbonate, even as they’re eroded by the flow of water — is a perfect blend of unique geological features you’ll rarely find elsewhere on earth. 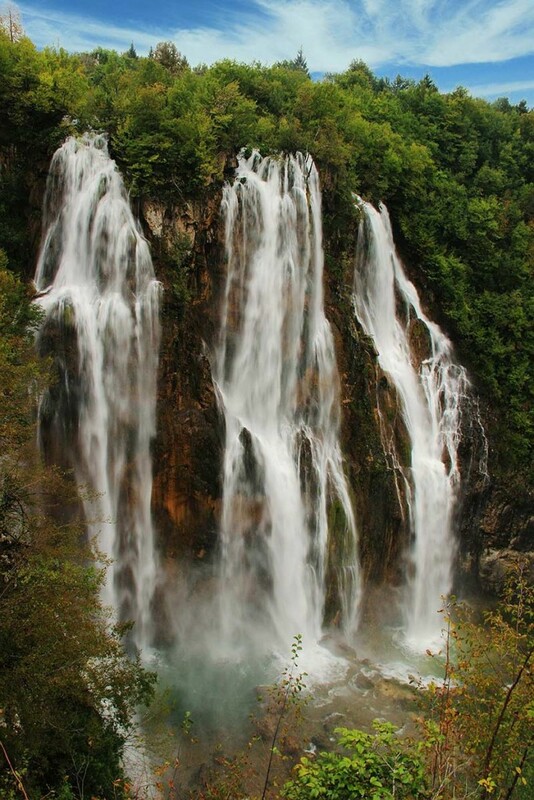 Here the circuit culminates with the Great Waterfall (Veliki slap), the tallest waterfall in Croatia. 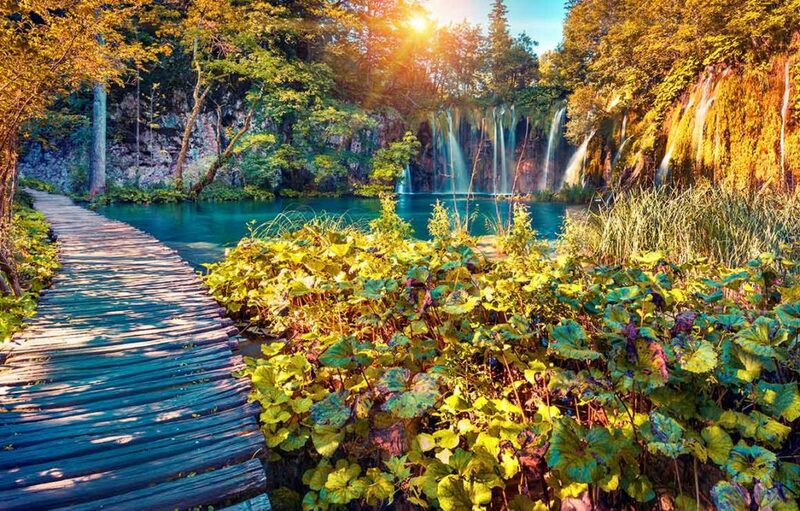 The impressive site of surrounding cliffs and forests as well as the tumbling roar of water highlights the beauty and magnificence of Plitvice Lakes National Park. 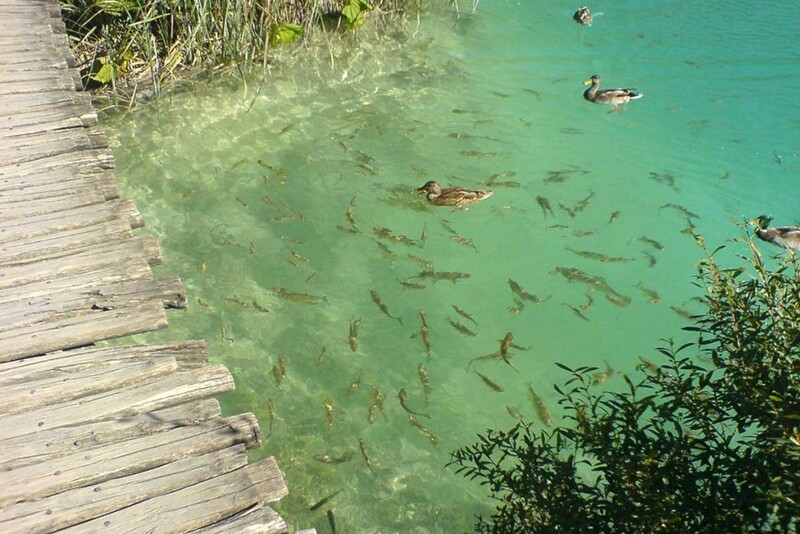 After you have been immersed in nature for the duration of the Plitvice lakes tour we suggest that you taste the local cuisine in one of the the traditional family restaurants. 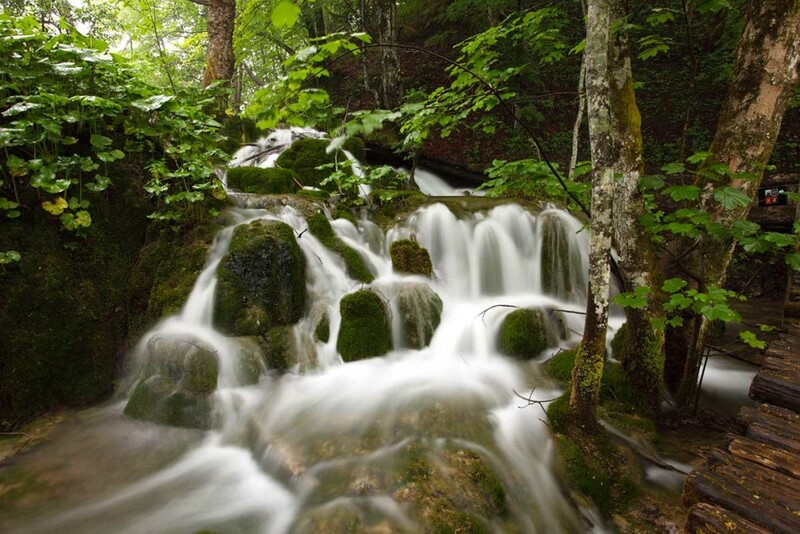 This activity is optional and instead you can choose to spend more time in nature before we return back to Split.